– 2017 Mellon Summer Institute in Italian Paleography at the Getty Research Institute in Los Angeles. – 2015-2016 Villa I Tatti Fellowship, awarded by The Harvard University Center for Italian Renaissance Studies in Florence. – 2015 Research Scholar Grant Program, awarded by Vanderbilt Univeristy. – 2014-2015 Southeastern Conference Visiting Faculty Travel Grant Program. – Award by the American Boccaccio Association in recognition for outstanding service. Amherst, MA – May 1st, 2010. – Dana B. Drake Teaching Award, 2004. Awarded by the Dept. of Romance Languages and Literatures of the UNC at Chapel Hill in recognition of excellence in undergraduate teaching. – Graduate Dissertation Completion Research Fellowship, 2004-2005. Awarded by the Graduate School of the UNC at Chapel Hill. 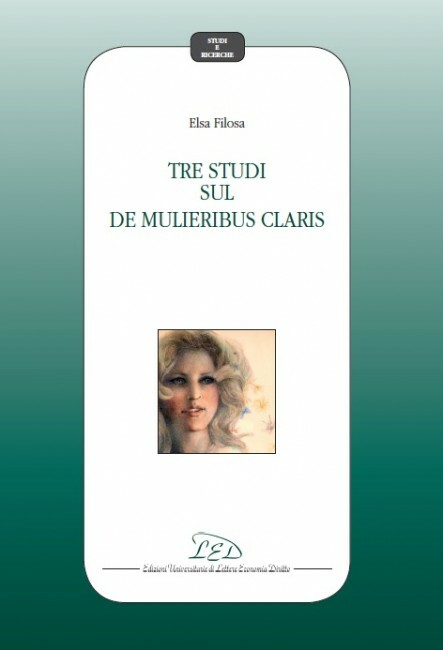 Tre Studi sul De mulieribus claris. Milan: Edizioni Universitarie LED, 2012. Reviewed by:Igor Candido, in Studi sul Boccaccio 41 (2013): 403-08; Federica Scarlata, in La Rassegna della Letteratura Italiana 117.2 (2013): 529-30; Eugenio Giusti, in The Medieval Review 14.03.27 (2014); Armando Bisanti, in Mediaeval Sophia 15-16 (2014): 233-37; Irene Zanini-Cordi, in Speculum 91.4 (2016): 1107-1109; Sienna Hopkins, in Italica 94.1 (2017): 177-179. Editor, with Michael Papio, of Boccaccio in America. Proceedings of the 2010 International Boccaccio Conference at The University of Massachusetts Amherst. Ravenna: Longo, 2012. Reviewed by: Janet Smarr, in The Medieval Review 12.12.11 (2012); Brandon Essary, in Renaissance Quarterly 66 (2013): 327-29; Francesco Paolo Botti, in Studi sul Boccaccio 41 (2013): 400-03; Christopher Nissen, in Italica 90.4 (2013): 679-81; Madison U. Sowell, in Annali d’Italianistica 31 (2013): 610-13. 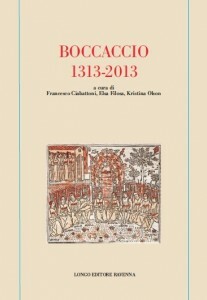 Editor, with Francesco Ciabattoni and Kristina Olson, of Boccaccio 1313-2013. Ravenna: Longo, 2015. Reviewed by: Florence Bistagne, in Medieval Review 16.12.02 (2016); K. P. Clarke, in Studi sul Boccaccio 44 (2016); Alison Cornish, in Renaissance Quarterly 70.1 (2017): 372-73; Roberto Nicosia, in Italian Culture 35.1 (2017): 53-54; Annachiara Monaco, Annali d’Italianistica 35 (2017): 541-43. “Following Virgil’s lantern: Teaching Dante in the light of Antiquity.” Approaches to teaching Dante’s Divine Comedy. Christopher Kleinhenz and Kristina Olson. New York: Publication of Modern Language Association. Forthcoming. “History of Virginia: Livy, Boccaccio, and Botticelli.” Botticelli: Heroines and Heros. Ed. Nathaniel Silver. London, UK: Paul Holberton Publishing, 2019. 78-93. “Storia di Virginia: ispirazione letteraria tra Livio e Boccaccio.” Le storie di Lucrezia e Virginia tra Boston e Bergamo. Eds. Maria Cristina Rodeschini and Patrizia Zambrano. Bergamo: Officina libraria, 2018. 40-51. “Messer Pino di messer Giovanni de’ Rossi.” Heliotropia 15 (2018): 161-187. “Pino de’ Rossi.” Dizionario Biografico degli Italiani. Roma: Treccani, 2017. Vol. 88. 713-715. “La condanna di Niccolò di Bartolo del Buono, Pino de’ Rossi, e gli altri congiurati del 1360 (ASFi, Atti del Podestà 1525, 57r-58r).” Studi sul Boccaccio 44 (2016): 235-250. “Scylleum mare: Una nota su Igino e Isidoro nel De montibus di Giovanni Boccaccio.” Romance Notes 56.2 (2016): 345-52. “Scilla e le tre corone.” Écritures, “Entre Charybde et Scylla. Art, mythes et société au pays des monstres oubliés”, sous la direction de Christine et Stéphane Resche, n° 8, CRIX, Université Paris Ouest Nanterre la Défense, Nanterre, Presses de Paris Ouest, 2016, p. 151-167. “Motivi anti-tirannide e repubblicani nel De mulieribus claris.” Heliotropia 12-13 (2015-16): 165-187. “L’amicizia ai tempi della congiura (Firenze 1960-61): A confortatore non duole capo.” Studi sul Boccaccio 42 (2014): 195-220. “Nota bio-bibliografica in memoria di Giuseppe Velli.” Heliotropia 11 (2014): 141-52. “The Tale of King Agilulf and his Groom (Dec. III.2).” The Decameron: Third Day in Perspective. Lectura Boccaccii. Eds. Pier Massimo Forni and Francesco Ciabattoni. Toronto: Toronto University Press, 2014. 22-43. “To Praise Dante, to Please Petrarch: Il Trattatello in Laude di Dante.” Boccaccio: A Critical Guide to the Complete Works. Eds. Victoria Kirkham, Michael Sherberg and Janet Smarr. Chicago: The University of Chicago Press, 2013. 213-20. “Decameron 7: Under the sign of Venus.” Annali d’Italianistica 31 (2013). 315-53. 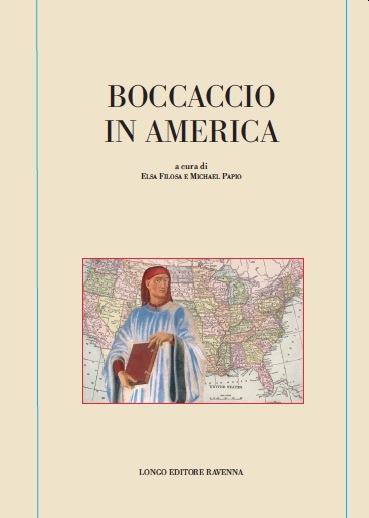 “Breve storia dell’American Boccaccio Association.” Boccaccio in America. Proceedings of the 2010 International Boccaccio Conference at The University of Massachusetts Amherst. Ravenna: Longo, 2012. 21-27. “Modalità di contatto tra Decameron e Corbaccio: Giovenale nella novella di Monna Sismonda (Dec. VII 8).” Modern Language Notes 122.1 (2007): 123-32. “Boccaccio tra storia e invenzione: Dal De fide uxorum erga viros di Valerio Massimo al De mulieribus claris.” Romance Quarterly 54.3 (2007): 219-30. “Intertestualità tra Decameron e De mulieribus claris: La tragica storia di Tisbe e Piramo.” Heliotropia 3.1-2 (2005-06). “Secretum e Corbaccio: Possibili interferenze?” Atti del Convegno ‘Petrarca e la Lombardia.’ Milano, 22-23 Maggio 2003. Ed. Giuseppe Frasso, Giuseppe Velli and Maurizio Vitale. Milano: Istituto Lombardo di Scienze e Lettere, 2005. 211-19. “Il mondo alla rovescia nella ‘valle delle donne’: eros muliebre e trasgressione sociale nel Decameron.” La Fusta 13 (2004-05): 9-18. “Dante, Alberto Magno e le pietre preziose: una nota su ambra e alabastro.” Dante Studies 122 (2004): 173-80. “Petrarca, Boccaccio e le mulieres clarae: dalla Familiare XXI 8 al De mulieribus claris.” Annali d’Italianistica 22 (2004): 381-95. “Ancora su Seneca (e Giovenale) nel Decameron.” Giornale Storico della Letteratura Italiana 175 (1998): 210-219. American Boccaccio Bibliography for 2015-16.” In collaboration with Christopher Kleinhenz. Heliotropia 14 (2017): 361-375. “Rassegna critica dell’anno boccacciano 2013.” In collaboration with Christopher Kleinhenz. Arnovit 1 (2016): 266-88. “American Boccaccio Bibliography for 2014.” In collaboration with Christopher Kleinhenz. Heliotropia 12-13 (2015-16): 331-37. “American Boccaccio Bibliography for 2013.” In collaboration with Christopher Kleinhenz. Heliotropia 11 (2014): 153-61. “American Boccaccio Bibliography for 2011-2012.” In collaboration with Christopher Kleinhenz. Heliotropia 8-9 (2012): 135-47. “American Boccaccio Bibliography for 2010.” In collaboration with Christopher Kleinhenz. Heliotropia 7 (2010): 183-90. “American Boccaccio Bibliography for 2009.” In collaboration with Christopher Kleinhenz. Heliotropia 7 (2010): 177-81. “American Boccaccio Bibliography for 2005-2008.” In collaboration with Christopher Kleinhenz. Heliotropia 6 (2009): 81-96. Giuseppe Chiecchi, Nell’arte narrativa di Giovanni Boccaccio. Florence: Olschki, 2016. Reviewed in, Studi sul Boccaccio 45 (2017): 347-78. Boccaccio, Giovanni, Teseida delle Nozze d’Emilia. Critical Edition by Edvige Agostinelli and William Coleman. Firenze: Edizioni del Galluzzo, 2015. Heliotropia 12-13 (2015-16): 361-64. Fiorilla, Maurizio. Marginalia figurati nei codici di Petrarca. Firenze: Olschki, 2005. Annali d’Italianistica 24 (2006): 377-78. Marchesi, Simone. Stratigrafie decameroniane. Firenze: Olschki, 2004. Annali d’Italianistica 23 (2005): 266-68. “A Letter on Consolation: Politics and Innocence.” Invited Lecture. Yale University, New Haven, CT. March 1, 2018. “Lectura Boccaccii: The Consolatory letter to Pino de’ Rossi as a pamphlet of Innocence.” Plenary session for the American Boccaccio Association at the Modern Language Association. Philadelphia, PA. January 7, 2017. “Boccaccio and the Florentine Coup (1360-61).” Invited Lecture. Villa I Tatti, Florence, Italy. October 6, 2015. Boccaccio and the Florentine Coup (1360-61).” Invited Lecture. University of Mississippi, Oxford, MS. March 3, 2015. “Boccaccio and the Florentine Coup (1360-61).” Notre Dame University, Notre-Dame, IN. November 20, 2014. “Boccaccio’s On Famous Women: Humanistic portraits of the female identity.” Emory University, Atlanta, GA. April 7, 2014. “Boccaccio in America.” Universita’ per la Stranieri di Perugia, Italy. May 30, 2013. “Decameron, Day 7: Under the Sign of Venus.” Invited Panelist at the Carolina Conference in Romance Languages, University of North Carolina at Chapel Hill. April 4-6, 2013. “Boccaccio’s Famous Women: a New and Humanist Portrait of Women.” Christopher Newport University, Newport, VA. March 20, 2013. “The Tale of Agilulf and his Groom.” Middlebury College, Middlebury, VT. February 22, 2007. “Lectura Boccaccii: reading of Decameron III 2.” Plenary session for the American Boccaccio Association at the Modern Language Association. Philadelphia, PA. December 27-30, 2006. Editorial Board, AATI online working papers (2015-18). Secretary of the American Boccaccio Association (2008-2011 & 2011-2014). Associate editor of Heliotropia: a forum for Boccaccio Research and Interpretation (2008-2014). Editor of the American Boccaccio Association Newsletter (2008-2011 & 2011-2014). Collaboration with Cheri Montgomery in editing Italian Lyric Diction Workbook. Ed. 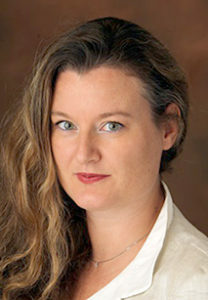 Cheri Montgomery. S.T.M. Publishers: Nashville TN, 2008. Site evaluator: “Virtual Humanities Lab,” a project developed at Brown University and sponsored by the National Endowment for the Humanities. 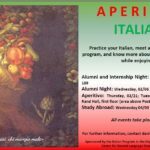 Participant in organizing Tavola Italiana, Italian Film Festival, and Events at UNC-CH, Duke University and Vanderbilt University.